The Channel module as input section of the CGM Mixer system manages an mono input signal at the 3.5mm socket. The audio first passes a VCA which can be either post- or pre-fader. 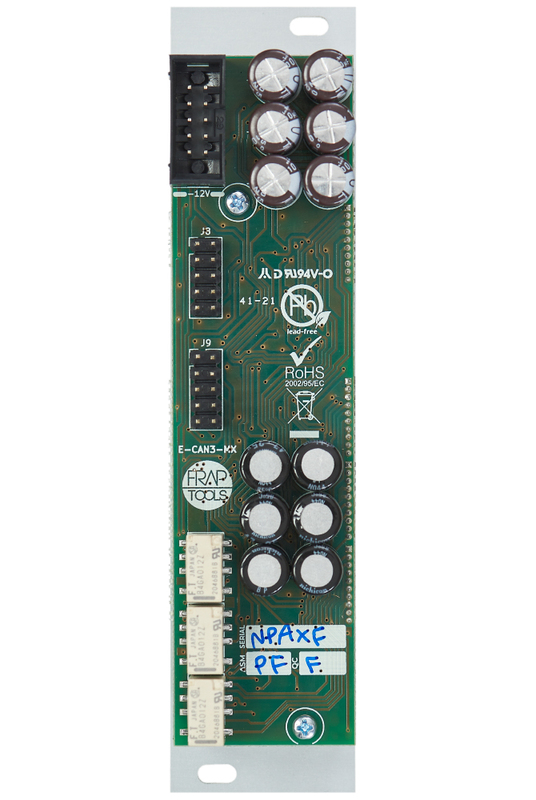 The VCA control works either as a manual gain control as long as nothing is patched or as an attenuator for the modulation. A Channel contains two auxiliaries (yellow and green), their send level being controllable manually or via control voltages. A switch determines per aux send whether it is post or pre fader. Below the auxiliaries there's the panorama (highlighted in a coral red) which is adjustable manually or via CV as well. The large potentiometer aka. "fader" controls the channel's output level, as expected. 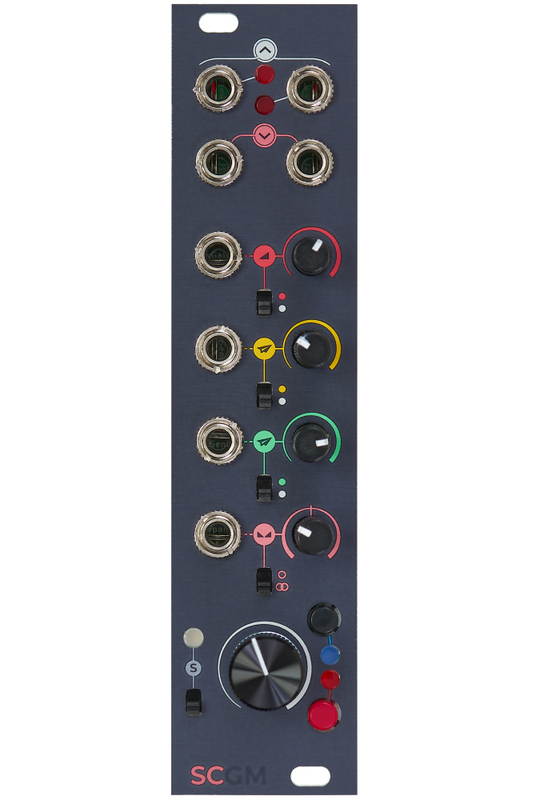 Signal flow: The audio first passes the VCA, then the panorama circuit as well as the mute and is then being split and routed to the PFL, the "fader", the aux sends as well as a pre/post selectable direct output. 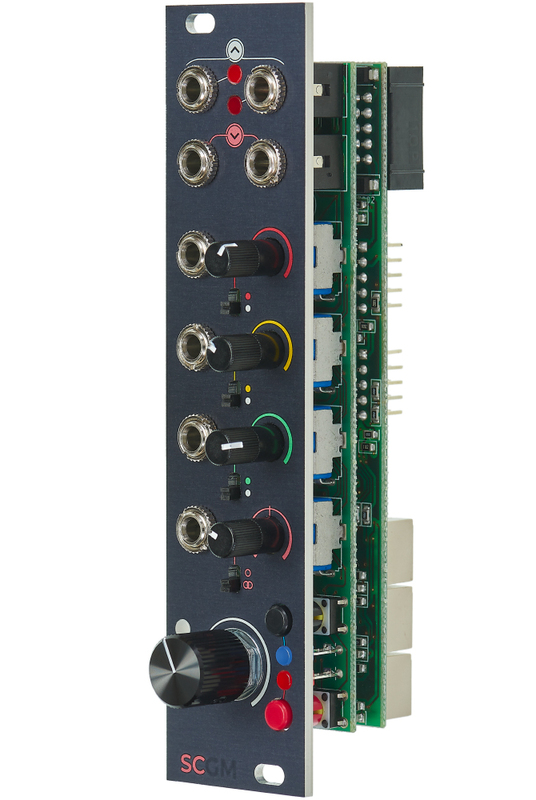 Up to eight Channels can be managed with one Group module. 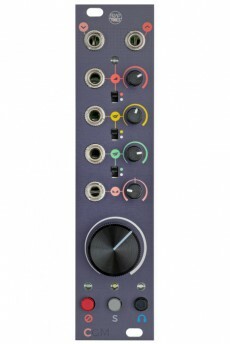 It handles the common Solo for all channels connected, is equipped with Aux send and return sockets and more. In case you can do without PFL it is possible to create a mixer just with Channels and a Group, without using a Master module.